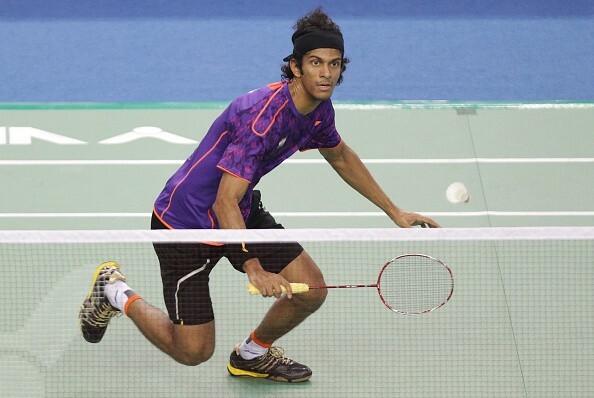 India’s Ajay Jayaram progressed through to the quarterfinals of the Dutch Open Grand Prix after beating Kasper Lehikoinen of Finland in straight games 21-14 21-13 in the third round of the competition on Thursday. The opening game saw the Indian assume control of proceedings from the 3-3 mark as he started to pick up pace and win points at a stretch and even as his Finnish opponent continued to win points at certain intervals during the course of the game, it didn't exert enough pressure on Jayaram and eventually took the game 21-14. The second game saw the Lehikoinin race away to an early 6-0 lead before Jayaram fought back excellently to level scores at 6-6 and then took the lead, never to let go of it ever again during the course of the game and won the 21-13 to move into the quarterfinals of the tournament. Jayaram will face Iskandar Zulkarnain Zainuddin of Malaysia in the quarters.